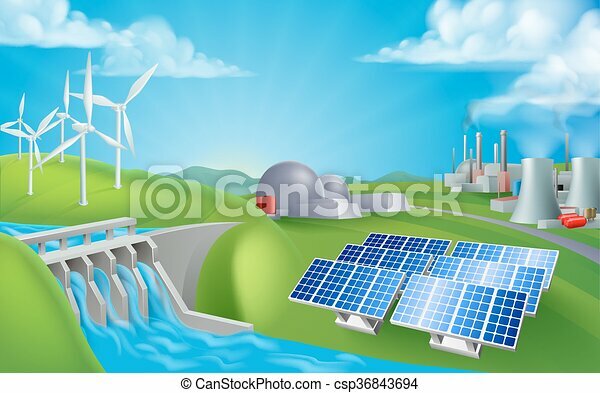 Energy power generation sources. 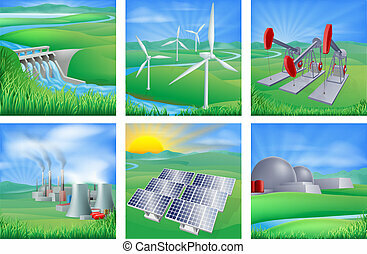 Energy or power generation sources illustration. 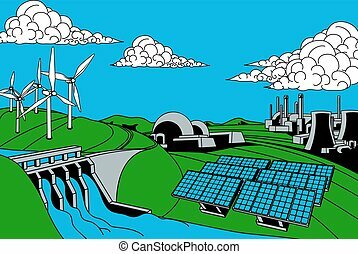 includes renewable sources such as hydro dam, solar and wind also nuclear and coal power plants. 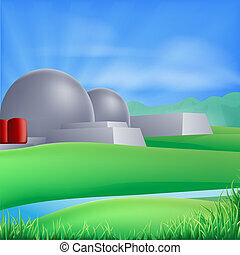 Clean energy vector illustration. 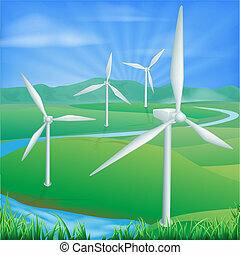 Wind turbines in green field on background of blue wavy sky. 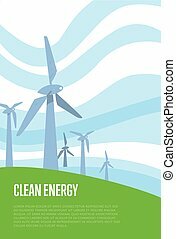 Windfarm poster. 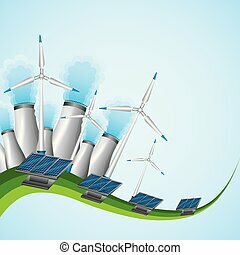 Windmills for electric power production. Eco generation. 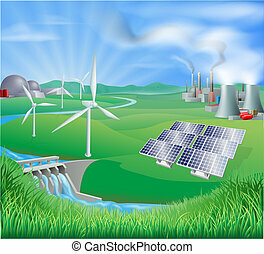 Renewable resources concept. 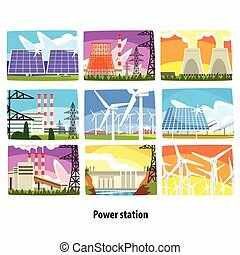 Electricity and energy sources set, wind, hydro, solar power generation facilities vector Illustration isolated on a white background. 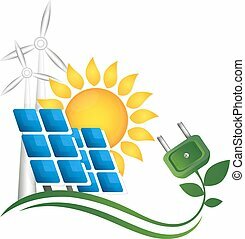 Alternative sources of energy. Vector set. 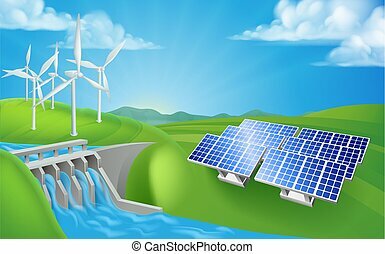 Solar power, wind, bioenergy, tidal power. 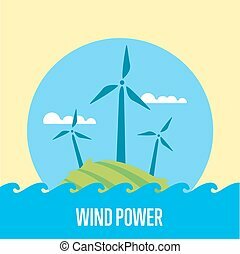 Wind power vector illustration. 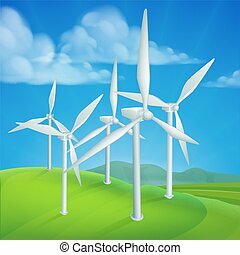 Wind turbines in green field on background of blue sky. 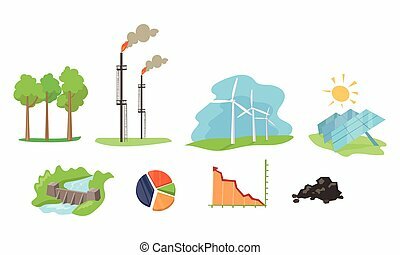 Ecological types of electricity. Natural landscape. Eco generation. 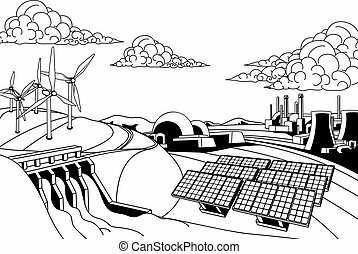 Renewable resources concept. 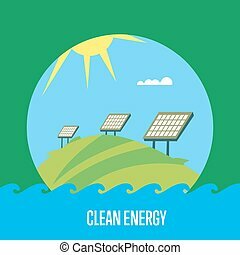 Clean energy vector illustration. Wind turbines in green field on background of blue wavy sky. 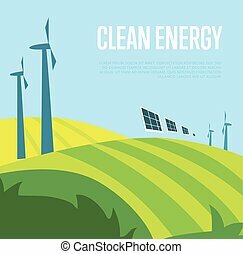 Windfarm poster. Ecological types of electricity. Eco generation. 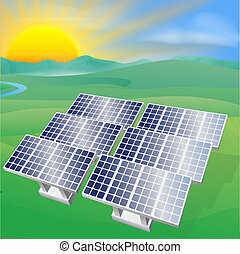 Renewable resources concept. 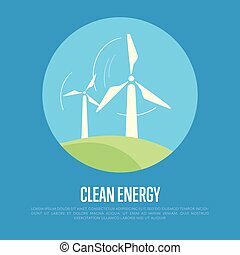 Clean energy vector illustration. 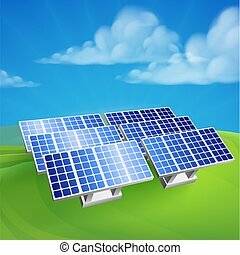 Solar panels in field under the sun and blue sky. 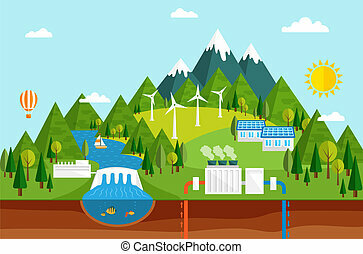 Ecological types of electricity. Natural landscape. Eco generation. 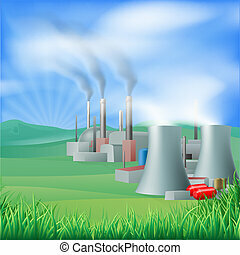 Renewable resources concept. 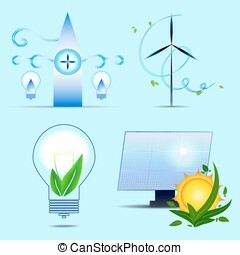 Clean energy vector illustration. 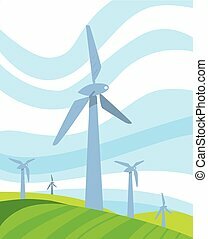 Wind turbines in green field on background of blue sky. 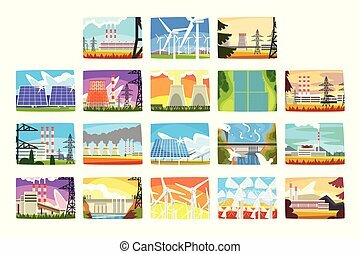 Ecological types of electricity. Natural landscape. Eco generation. 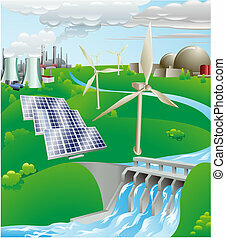 Renewable resources concept.